- The location was very good, 2 min on foot to reach the Logos port and 20 min with the bus to reach Gaios. - The only part of the room that I liked was the bedroom area. - It was very clean even if I didn't like the facilities. - The staff was very nice and friendly. Great location. 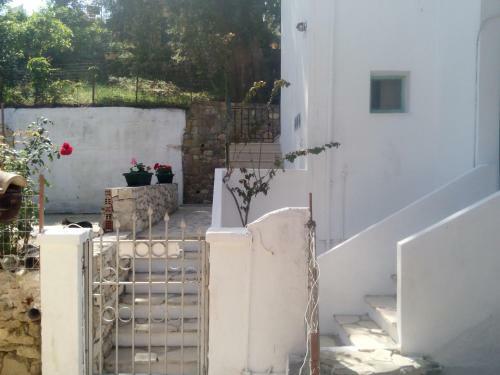 Less than 1 minute walk from little harbour and all tavernas and little shops. Food store a minute walk the other way. Great ambience. 15 minute walk to nearest beach. Host was very accommodating. Thanks Sia. .
lovely high ceilings and nice balcony. 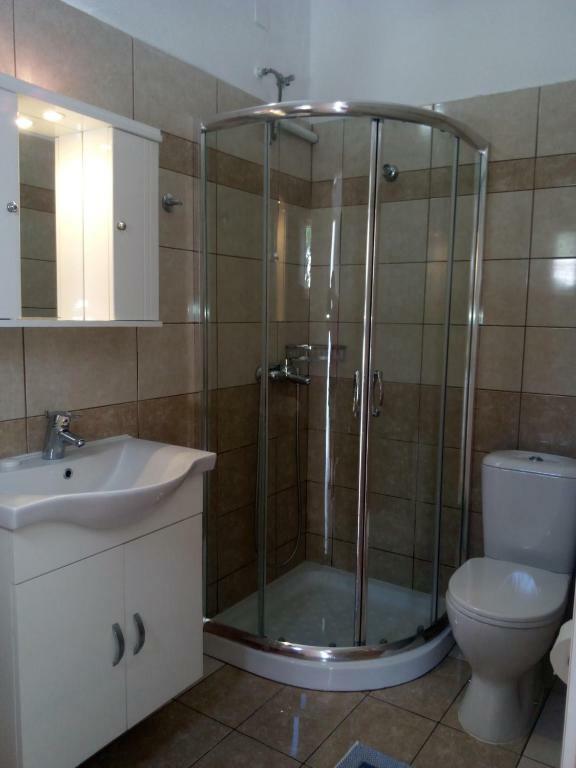 very convenient location in the heart of the village. 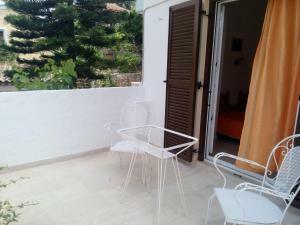 Mi è piaciuta la cordialità e simpatia della signora...il terrazzino e il letto confortevole. Μεγάλη σαλοκουζίνα πλήρης εξοπλισμένη, άνετο δωμάτιο και διπλό κρεβάτι, τηλεόραση, aircondition. Σε απόσταση λίγων μέτρων από το λιμανάκι του χωριού με τα καταστήματα. Άνετο parking. La stanza è confortevole, pulita, in una posizione ottima. La proprietaria è stata molto gentile e disponibile. Ci tornerei volentieri! Lock in a great price for Stamatis Studio – rated 8 by recent guests! One of our best sellers in Longós! Stamatis Studio is set in Longós of Paxi, within 350 feet from the sea. The rooms are fitted with a TV. Enjoy a cup of tea from your terrace or balcony. 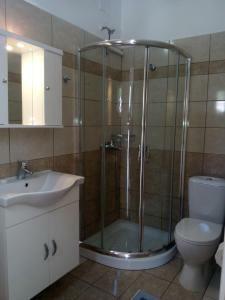 The rooms have a private bathroom equipped with a bath or shower. Stamatis Studio features free WiFi . Gaios Port connecting to Igoumenitsa is 4.3 mi away. When would you like to stay at Stamatis Studio? This studio features a balcony, oven and tile/marble floor. This studio has a balcony, tile/marble floor and kitchenette. Τα stamatis studio ειναι ιδανικα για να περασεις λιγες μερες στο ομορφο Λογγο.Διαθετουν κουζινα ,μπανιο κρεβατοκαμαρα ,μπαλκονι ,κλιματιστικο, TV και δωρεαν Wi-Fi.Βρισκονται στην καρδια του Λογγου. 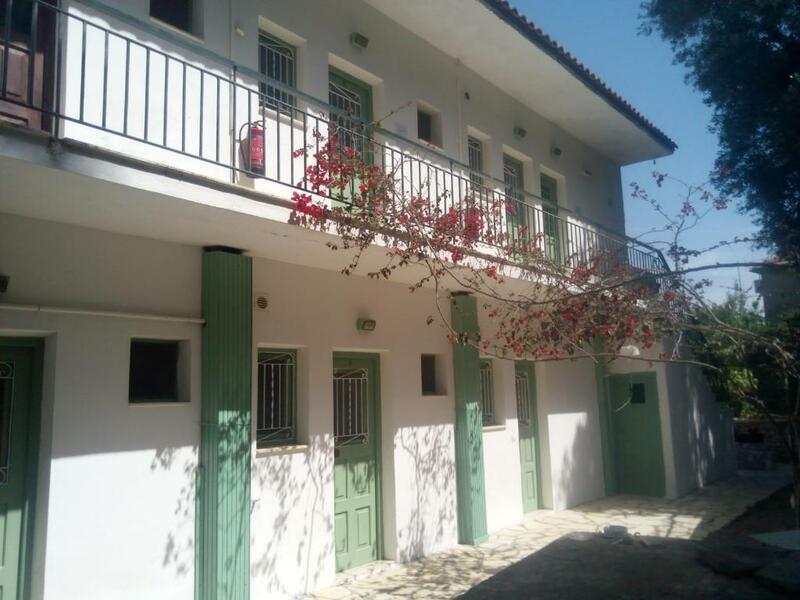 Κοντα στο stamatis studio βρισκονται τα παντα.Εστιατορια ,καφετεριες και μπαρ ,σουπερ- μαρκετ και φουρνος σε πεντε λεπτα.σε δεκα λεπτα φτανεις στο Λεβρεχειο και στο Μαρμαρι για να απολαυσεις την θαλασσα. House Rules Stamatis Studio takes special requests – add in the next step! There was no wifi reception, but when you could get it it was fine. - The room was not what I was expecting based on the photos. Personally, the only thing I care when I book a room is the bathroom and the bed. The bathroom was very old and uncomfortable. It kept a smell as it had a very small window in it. - The kitchen was also quite poor. - There was no view from the balcony. For the money I paid in August it was totally not worth it. It was a bit of a hassle having to transfer money online as a deposit into a private account instead of paying through the site. The wifi didn't really work at all.